Ali Shukri Amin, or Amreekiwitness, admits to helping the Islamic State learn about bitcoin. The shadowy possibilities for bitcoin. Whether you’re an average Joe, someone’s mom, or a member of an extremist military group, bitcoin can be confusing. What is it exactly? How does it work? 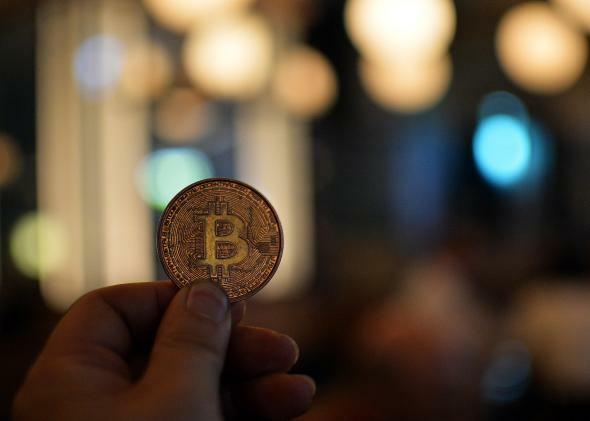 To help ISIS learn the answers to these questions, one Virginia teen used social media and blogging to explain the cryptocurrency’s potential value as an anonymous payment option. Now he’s pleading guilty to charges of conspiring to provide material support and resources to a designated terrorist group. Whoops. Seventeen-year-old Ali Shukri Amin used his now-suspended Twitter account, @Amreekiwitness, to send tips about bitcoin to the Islamic State. He opened the account in June 2014 and ended up with more than 4,000 followers. In particular, Amin tweeted a blog post he wrote, called “Bitcoin wa’ Sadaqat al-Jihad” or “Bitcoin and the Charity of Jihad,” in which he laid out the basics of using bitcoin and suggested DarkWallet as a good platform for conducting anonymous transactions. Amin faces 15 years in prison. Around the nation, we are seeing ISIL use social media to reach out from the other side of the world. Their messages are reaching America in an attempt to radicalize, recruit and incite our youth and others to support ISIL’s violent causes. This case serves as a wake-up call that ISIL’s propaganda and recruitment materials are in your communities and being viewed by your youth. In 2011, Annie Lowry wrote in Slate, “today criminals might not need to resort to stealing old masters to facilitate their deals. They might use bitcoin, one of the world’s newest currencies and one rapidly gaining the attention of felons, nerds, and monetary economists alike.”* Bitcoin is decentralized, can be hard to track, and is all digital, so it’s a logical choice for international transactions, especially sketchy ones. But it wasn’t until May 2014 that the Department of Justice announced it has been researching bitcoin’s role in international terrorism since last year. *Correction, June 15, 2015: This post originally misstated that a Slate blog post about bitcoin was written by Farhad Manjoo. It was written by Annie Lowery.